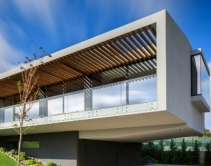 By CE Pro Editors · January 31, 2019 • Spectacular Portuguese home serves as Sparks Custom Electronics showroom, featuring automated Tesla power-storage system, infinity pool, koi pond, audio, video and more, controlled with an Elan home automation system. 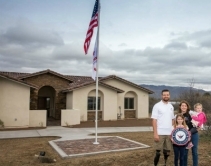 By CE Pro Editors · October 16, 2018 • Local integration firm Xtend Technologies worked with the Gary Sinise Foundation to create the perfect smart home for archery Paralympic gold medalist and war veteran Eric Burkett and his family. By CE Pro Editors · June 13, 2018 • When Labonte purchased his dream home and wanted smart home capabilities, local integrator Advanced Tech Systems suggested an ELAN home automation system. By CE Pro Editors · June 11, 2018 • More of the CE Pro 100 smart-home installation firms offer Sonos soundbars and subwoofers than any other audio brand, according to the 2018 CE Pro 100 Brand Analysis ... but be careful drawing conclusions. By CE Pro Editors · January 3, 2018 • What used to be a gym is now a fancy home theater that converts to a golf-simulation playground with the press of a button on an Elan home-automation system. By CE Pro Editors · November 10, 2017 • With the help of the Gary Sinise FoundationEdina, Minn.-based JJ Orion traveled to Texas to install an Elan home automation system in a new home for an Afghanistan war veteran. By Lisa Montgomery · August 28, 2017 • Talk about a smart-home rescue mission. 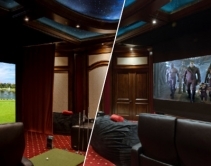 This dysfunctional system was completely overhauled and replaced with Savant automation, Lutron lighting control, Sonance and Sunfire speakers, and a Stewart Filmscreen and Dolby Atmos home theater. By Robert Archer · June 2, 2017 • Subwoofers is a new category for the Brand Analysis. 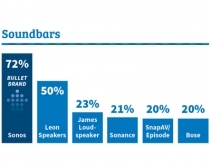 Sonos debuts as the leader, followed by Klipsch, Bowers & Wilkins, Sunfire and Episode. Check out the complete list in our 2017 Brand Analysis. 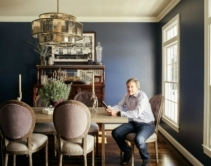 By CE Pro Editors · May 26, 2017 • Thanks to the Gary Sinise Foundation — along with Core Brands and Lutron — U.S. Army Sergeant Franz Walkup can easily control his smart home’s audio, video, lighting, security, climate and irrigation. By CE Pro Editors · October 5, 2016 • ELAN at the helm, Stewart Filmscreen in the theater and Niles, Sunfire and JBL embedded in the ceiling make this waterfront Mediterranean villa a smart home masterpiece.